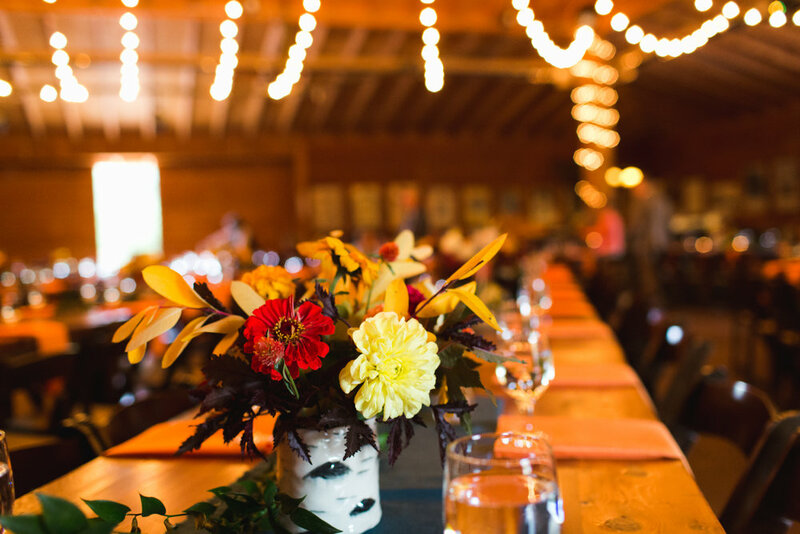 Autumn is our favorite time of year around here, and when Laurie told us that she wanted all of her flowers to be inspired by yellow aspen leaves, we knew we had to work together! Laurie and Hagn’s love for live music and the outdoors made Planet Bluegrass the perfect venue. The rain held off for their golden riverside ceremony, and then everyone discoed the night away in the Wildflower Pavilion.